A view of last year’s Winter Antiques Show. Photo credit: BFA. 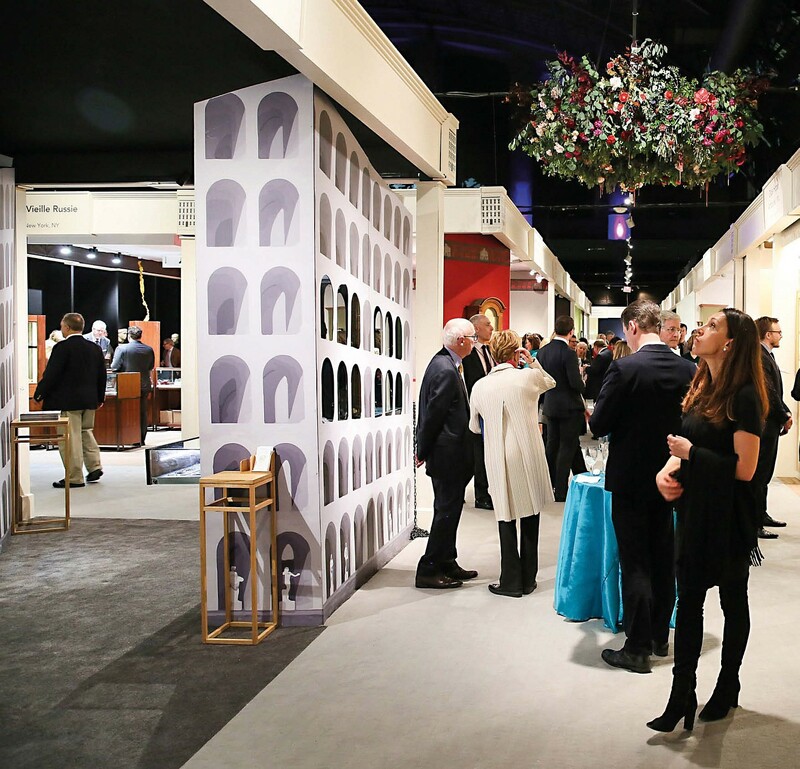 The Park Avenue Armory will be getting all dressed up this month for the latest edition of the Winter Antiques Show (WAS). It takes place from January 19-28 with its glamorous opening night party held on the 18th. The entire event is an annual benefit for East Side House Settlement in the Bronx. The Grande Dame of American antiques fairs celebrates its 64th edition, no less. Such longevity implies exhibitor and visitor loyalty and appreciation – an element of honouring tradition but also the ability to reinvent itself. Traditional fields such as European furniture and works of art (another strong area) also still feature, but so increasingly do Art Nouveau and Deco, 20th century design and modern and contemporary art. Like most fairs these days, it includes the extra attraction of a loan exhibition. This year the spotlight is turned on the Virginia Museum of Fine Arts with a display titled Collecting for the Commonwealth/ Preserving for the Nation: Celebrating a Century of Art Patronage, 1919-2018. The 70-strong exhibitor list includes major New York galleries plus dealers from Europe, including a number from London, all cashing in on the opportunity to find customers stateside while Europe slows down after the pre-Christmas high season. So what keeps the exhibitors coming back and what tempts new ones to join? Over the next three pages, ATG gives the views from participating galleries, some of which have been regulars at the WAS for many years, and one that is signing up for the first time for 2018.